A major new report1 published on 2 October 2006 in the Proceedings of the National Academy of Sciences, the United States’ premier scientific journal, has revealed that cattle rapidly infect badgers with bovine TB. The hugely significant findings mean that by controlling bovine TB in cattle through better TB testing, the prevalence of TB will also be reduced in badgers. That, in turn, further reduces the small risk that badgers pose to cattle. The research, from the Krebs Randomised Badger Culling Trial (RBCT), also confirms that killing badgers increases bovine TB in badger populations, probably by disrupting badgers’ otherwise stable social order and by increasing the amount of contact that badgers have with cattle. This finding means that badger culling has no place in any science-based strategy to control bovine TB. Instead, leaving badgers in peace will reduce the prevalence of TB in badgers and, again, reduce the risk that they pose to cattle. Significantly, the research has been peer-reviewed by independent, international scientists, so it cannot be undermined by the minority of out-of-touch vets who profess to have a better scientific understanding of the complex dynamics of this disease. 1. Because cattle were not tested for bovine TB during foot and mouth disease (FMD) in 2001, the prevalence of bovine TB in badgers increased from an average of five per cent in 2000 to more than 20 per cent in 2002. This increase cannot be attributed to other causes. 2. The prevalence of TB in badgers began to rise before FMD in response to badger culling and these changes were not observed in areas where no culling took place. C. What are the implications? 3. The research shows that cattle are the primary source of TB and that by more effective control of TB through cattle testing, prevalence of the disease will be reduced in badgers. 4. The modest risk of badgers transmitting TB back to cattle will be further reduced if their populations are not culled, allowing bovine TB prevalence to decline. 5. The disturbance caused by culling can take a decade to settle down, so the negative effects of badger culling in the RBCT areas and where farmers have illegally killed badgers will be seen for many years to come2. 2 Cheeseman, C. L., Mallinson, P. J., Ryan, J and Wilesmith, J. W. (1993) In: Hayden, T. J. (ed.) The Badger, 78-93. 6. Badger culling strategies proposed by the NFU and others will not work. Earlier results from the Krebs RBCT showed that to ensure a benefit from badger culling, badgers would need to be eradicated over vast areas (in excess of 25,000km2). 7. The latest report re-enforces that finding, but reveals that the culling would need to be simultaneous and comprehensive to avoid the effects of badger perturbation. Such a strategy is not possible, due to limited landowner cooperation and the huge cost. Nor is the strategy sustainable. 8. In addition, if cattle control measures are fully implemented so that badger TB prevalence is in turn reduced, there is no chance that such a strategy would be cost-effective. D. How was the discovery made? 9. The Krebs Randomised Badger Culling Trial (RBCT) began in 1998, before the outbreak of FMD. This provided a baseline for the prevalence of TB in badgers. 10. In 1998, before the outbreak of FMD, approximately 7,500 cattle were slaughtered as reactors to the standard skin test for bovine TB. 11. Badgers initially showed an average prevalence of bovine TB infection of five per cent. 12. FMD was confirmed on 20 February 2001. Three days later, a national ban on the movement of livestock was imposed. 13. In 2002, after FMD and following the restocking of herds with untested cattle, almost21,000 cattle tested positive for bovine TB. 14. Research by Warwick University has confirmed “an associated risk of [TB] from the purchase of cattle from herds with a history of TB” and “the distribution of [TB reactors] after a period without testing is highly suggestive of on-farm transmission between cattle”3. 15. After FMD, the prevalence of bovine TB in badgers killed in 2002 rose sharply to more than 20 per cent. 16. TB prevalence in badgers also increased in response to badger culling during the entire culling trial. E. How do we know that the TB went from cattle to badgers? not tested for TB, the greater the increase of TB in badgers. When TB testing resumed in cattle, TB declined in badgers. 18. 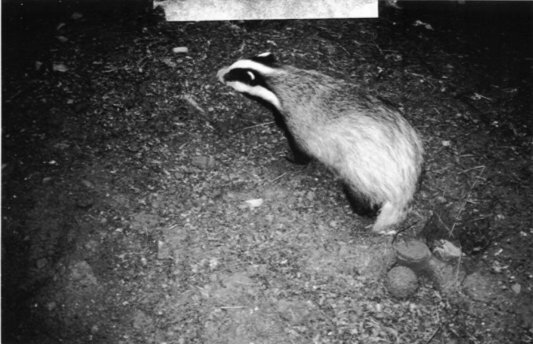 In addition, adult and cub badgers showed different rates of TB prevalence. Adults culled in 2002 showed greater TB prevalence. But cubs born in that year, which came out of their setts after TB testing had resumed and infected cattle were slaughtered, did not show the dramatic increase in TB prevalence. due to the suspension of badger culling during FMD? 19. The authors found similar peaks in bovine TB prevalence in badgers taken from areas where no culling occurred, including road-killed badgers. Therefore, the 2002 peak in TB prevalence in badgers was independent of culling activity. G. How do we know that TB in badgers increases as a result of culling? 20. The RBCT has created a huge set of data that covers both space and time. This allows the scientists to model the distribution of bovine TB in badgers in great detail. 21. The scientists also modelled how badgers could migrate into culled areas. The model shows that where culling areas were edged with coastline, towns, dual carriageways and motorways, the increase in prevalence in badgers was slower during the course of the RBCT. This (combined with the monitoring of actual badger territories) confirms that culling increases contact between neighbouring badgers and this, in turn, increases the speed at which TB spreads within badger populations. 22. The scientists also compared two different culling strategies. In some areas, the entire area was culled simultaneously. In others, culling was undertaken in sequential sectors. The results show that sector-based culling led to increased TB prevalence in badgers, again suggesting that badgers migrated into culled areas and acquired TB from badgers and cattle. H. Isn’t this because only 60 per cent of the badgers were killed? 23. The figure of 20-60 per cent culling efficiency, as used in Defra’s consultation on badger culling4, is not supported by the Independent Scientific Group which ran the culling trial. Incredibly, the figure was simply made up by Defra by an economist in the Central Science Laboratory at York. 24. The Central Science Laboratory was asked by Animal Welfare Minister Ben Bradshaw to come up with a cost-benefit analysis for badger culling before the badger culling trial was complete5. This was patently ridiculous. A cost-benefit analysis was not possible without knowing (a) how many badgers were killed (b) how much it cost and (c) what proportion of TB was caused by badgers. These figures did not exist, so they had to be made up. 25. The economist obtained early estimates of culling efficiency, believed to be around 80 per cent after each cull, but then deducted from these figures the proportion of land where culling was not permitted by landowners. This was a serious error, because it ignored the fact that badgers will have quickly moved from these no-cull areas into culling zones. 26. Defra’s vets were aware that the culling efficiency estimate had no basis in fact, but dishonestly used it in Defra’s consultation anyway. They also presented the flawed figure to members of the public involved in the focus group consultation on badger culling. consultation document issued by the Department for Environment, Food and Rural Affairs (2005), Defra, London. 27. Final estimates of culling efficiency have yet to be published in a peer-reviewed scientific journal. Until then, claims that not enough badgers were killed should be ignored. 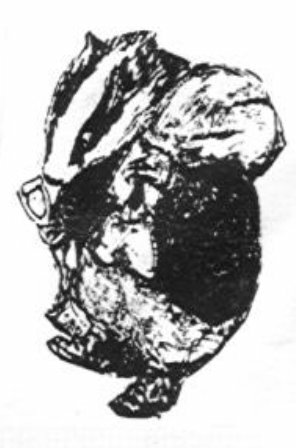 Badgerwatch says a sad farewell to Dr.Elaine King, who for many years was CEO with Badger Trust (UK) formerly National Federation of Badger Groups. Elaine is leaving behind, years of dedication and commitment to badgers. We, in Ireland will also miss her. We wish Elaine all the best for the future and much happiness in her new role as mum to beautiful baby son, Jasper. Please, give broc a break! Help! There’s a badger in my garden. What can I do? Badgerwatch hears this query more often than any other badger ‘problem’. Due to the ever increasing expansion of urban areas, badgers by necessity are being forced to live closer to human proximity than ever before. New housing estates and new road infrastructure impact on the badger. The result is loss of setts, foraging habitats or dissection of their foraging areas. the same feeding areas may have often become the coveted lawns of proud new home owners, who now despairingly survey the myriad of ‘snuffling holes’, the evidence of a night’s foraging. The badger might be forgiven for thinking “ so what, I was here long before you, sir”. Start of the nightly search for food. Because of food shortages, badgers sometimes attack lawns and damage gardens in their search for earthworms and leatherjacket grubs which make up the greater part of their diet. A badger may polish off as many as 200 earthworms in a night’s feeding. They are naturally partial to seasonal fruit and cereals. Badgers are often accused of raiding poultry. This is rare and is usually the action of one rogue individual. Likewise it is rare for the animal to attack lambs though they will scavenge on carcasses and afterbirths. This year, Ireland enjoyed an extremely hot, dry summer. Unfortunately this imposed hardship on the badger and other wildlife. Their normal supply of food diminished. The dry spell forced earthworms to burrow deeper below the rock-hard ground. Deprived of this valuable source of food, the result is starvation for the badgers, in particular young and vulnerable cubs. Even under ‘normal’ conditions, 50% of badger cubs die in their first year, lack of food being one of the reasons. It should be explained that the presence of badger latrines along with digging of lawns are usually temporary and seasonal activities. Badgers generally move on. Taking this into account, perhaps a little tolerance and understanding on the part of home owners may prove to be the best (and often) only solution..
Damage to gardens may be minimised by putting out water and some left-over food for visiting and starving badgers. Badgers are omnivorous. Many types of household scraps and leftovers will see visiting wildlife through such life-threatening dry spells. Surely we owe it an animal who has suffered centuries of persecution, at the hands of humans. They continue to be cruelly snared under licence for their unproven link in the spread of cattle TB. In 2005 the Dept of Agriculture was responsible for ‘taking out’ 5171 badgers! The vile pastime of badger digging and baiting manages to survive even though it was outlawed many years ago. Badgerwatch continues to get reports of illegal snaring around the country. Because there are insufficient resources to police existing legislation, such pursuits continue unabated. Despite all of this, the biggest threat to our badgers nowadays is loss of habitat. Solutions are not that simple. The use of some repellents such as Renardine may have been of some value in the past but their use nowadays would breach EU regulations. Usually, people are surprised to hear that badgers are excellent climbers and well able to climb over (and dig under) fences. Only a very robust chain link fence will do the trick. It should be dug deep into the ground and the bottom curved outwards. Very few people who have become reluctant hosts to the nightly visits gave serious consideration to the use of electric fencing. To many, this seems a drastic solution. Likewise and surprising, killing off earthworms appalled people. Thankfully, there are those who will gladly accept badgers and other wildlife as part of their surroundings. The animals have managed to survive against all odds. But, the question remains, why do they end up in “my” garden? Answer is simple. There is likely nowhere else left to go. 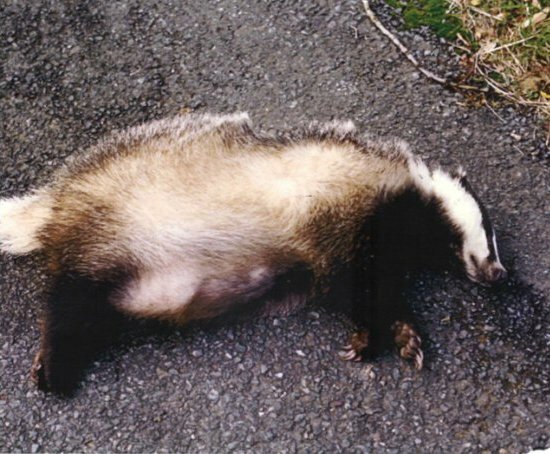 TB in badgers killed on roads and TB in cattle . living in TB areas . PLEASE HELP The Alliance For Animal Rights P.O. Box 4734 Dublin (AFAR) to get the law implemented and to get these barbaric items removed from all shops. GLUE TRAPS are clearly illegal in this country, yet they have managed to remain on sale in some stores. Glue traps, however, are an extremely cruel method of catching animals. We believe that if people understood the degree of cruelty associated with the use of glue traps, they would want no part of them. A 1983 test that evaluated the effectiveness of glue traps found that trapped mice struggling to free themselves would pull out their own hair, exposing bare, raw areas of skin. The mice broke or even bit off their own legs, and the glue caused their eyes to become badly irritated and scarred. After three to five hours in the glue traps, the mice defecated and urinated heavily because of their severe stress and fear, and quickly became covered with their own excrement. Animals whose faces become stuck in the glue slowly suffocate, and all trapped animals are subject to starvation and dehydration. It takes anywhere from three to five days for the mouse to finally die. This is nothing less than torture. The Alliance For Animal Rights are asking concerned people to check their local hardware shops over the next few weeks and report back to AFAR, the shop name, manager/owners name and phone number. Contact us at: 051-373876 or 087-2651720. Sadly the image pictured below is likely the only recollection most people will ever have of seeing a badger. In recent years the increasing number of cars on our roads together with the accompanying need for more roads has put the badger under more pressure than ever. Thankfully, the National Roads Authority (NRA) recognises this problem and has laid down conditions that makes roads safer both for brock and motorist alike. Badger surveys are now required to be carried out by experienced and qualified people well in advance of new road construction. Measures such as badger-proof fencing and the construction of underground tunnelling for badgers are now put in place. Badger colonies in direct line of a new road obviously will necessitate relocation of its inhabitants and destruction of sett(s). Because badgers and their setts are protected under The 1976 Wildlife Act, licence from the National Parks and Wildlife Service (NPWS) is required where this option is necessary also recognising the badgers’ breeding season Jan-June. Guidelines for the Treatment of Badgers (prepared by Dr. Chris Smal, Environmental Consultant) can be found on NRA website. www.nra.ie See under Environmental Construction Guidelines. Interesting and well worth taking time to read through.